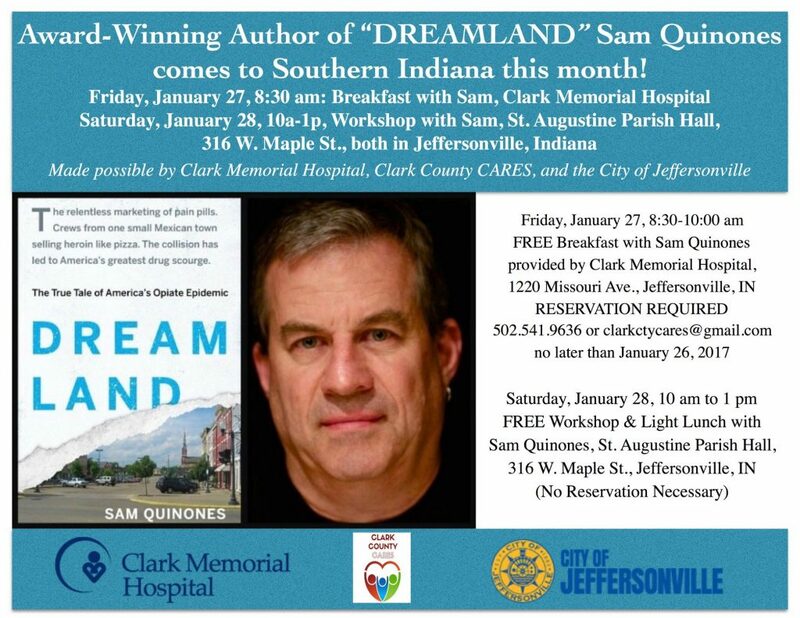 Sam Quinones, an acclaimed author and expert on the roots of America’s heroin and prescription drug crisis, is coming to Clark County as part of a week of drug education programming. Quinones, the author of “Dreamland: The True Tale of America’s Opiate Epidemic,” will speak about the causes of the nation’s heroin and prescription pill crisis at St. Augustine Catholic Church on Friday, January 27. The program is part of Drug Facts Week 2017, a week of addiction awareness events organized by Clark County CARES.